This ongoing range will continue to grow year by year. 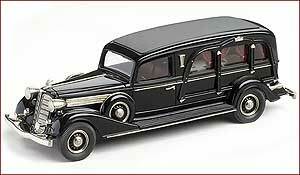 Apart from Fire and Ambulance models, subjects of Hearse and Utility will be explored. 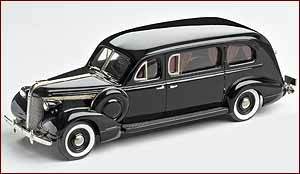 1934 Miller - Buick Art Model Funeral Coach from Community Service Vehicles. 1:43rd Scale model hand built in England, in heavy white metal. 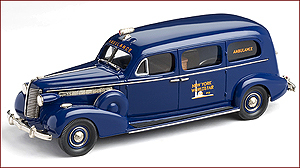 1938 Flxible - Buick Sterling "World's Fair" Ambulance from Community Service Vehicles. 1:43rd Scale model hand built in England, in heavy white metal. 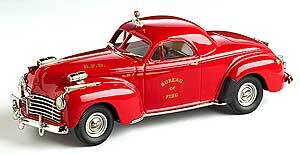 1938 Flxible - Buick Sterling Ambulance "Friendship Fire Co" from Community Service Vehicles. 1:43rd Scale model hand built in England, in heavy white metal. 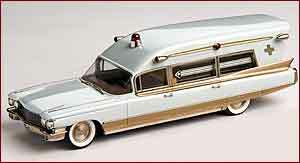 1960 Miller - Meteor Cadillac "Guardian" Ambulance from Community Service Vehicles. 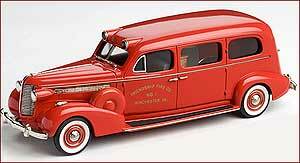 1937 Superior-Pontiac Lawndale Funeral Coach from Community Service Vehicles. 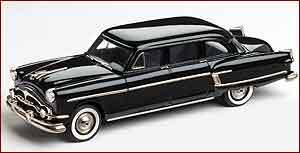 1954 Henney-Packard 8-Passenger Limousine from Community Service Vehicles. 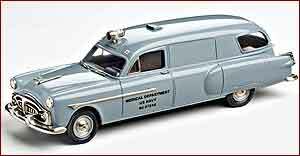 1951 Henney-Packard - Navy Ambulance from Community Service Vehicles. 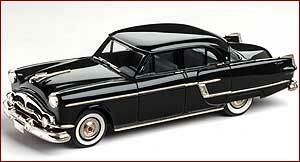 1954 Weller-DeSoto Combination from Community Service Vehicles. 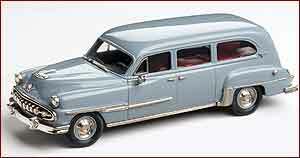 1954 Packard Patrician four door sedan, from the Community Service Vehicles Collection.